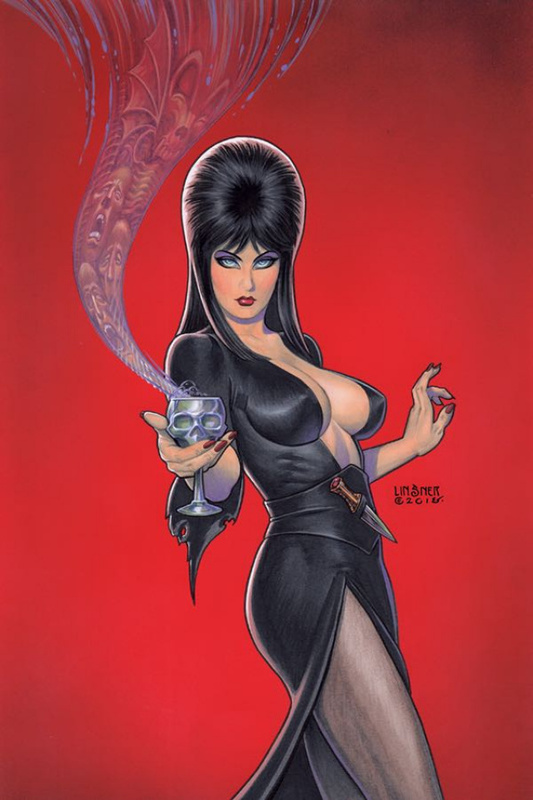 Elvira's trip through time finally gets her back home, to Los Angeles...but eighty years too early! The Mistress of the Dark lands on the set of a horror movie classic, pursued by real -- not reel -- ancient evil! Would you sell your soul for riches and fame? Faust things Faust! Terrible puns just like that one, plus the usual thrills and chills await you in Chapter Four of ELVIRA: TIMESCREAM, brought to you by David Avallone (Bettie Page) and Dave Acosta (Twelve Devils Dancing), the team who brought you DOC SAVAGE: RING OF FIRE and TWILIGHT ZONE: THE SHADOW.